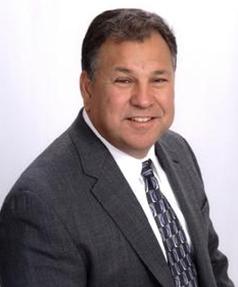 Joel Salinas, ACTAR, has over 33 years of experience investigating and reconstructing traffic collisions. He is accredited by the Accreditation Commission for Traffic Accident Reconstruction, (ACTAR # 1569). He is a retired Police Lieutenant. He worked for the California Highway Patrol from 1984 to 1988. From 1988 to 2012 he worked for the Vallejo Police Department in Northern California. As the department’s leading reconstructionist he investigated and supervised the investigation of over 1000 traffic collisions. Joel has extensive training in the field of collision reconstruction, forensic mapping, and 3D laser scanning. He has testified as an expert in Traffic Accident Reconstruction and Forensic Mapping in both criminal and civil cases. He produces computer animations which have been accepted in court. His laser scan data has been accepted in court. He is Certified Instructor for ARAS 360, Cad Zone, IMS/MapScenes, and Visual Statement software. Joel has provided Forensic Mapping and Laser Scanning training to numerous Law Enforcement agencies in North America and overseas. Some of the agencies he has trained include the Colombian Army, Ecuador National Police, Crime Labs in India and Indonesia, Royal Canadian Mounted Police, Illinois State Police, the Omaha Crime Lab, and the South Dakota Highway Patrol. He is fluent in Spanish. Joel co-authored a book titled Fundamentals of Forensic Mapping and is currently working on a second book Fundamentals of Forensic Laser Scanning.